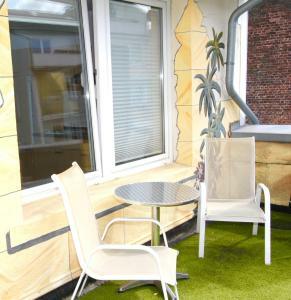 Hotel Alt Graz lies in a quiet side street in the heart of Düsseldorf, a 5-minute walk from Düsseldorf Main Station. Private parking spaces are available for guests. 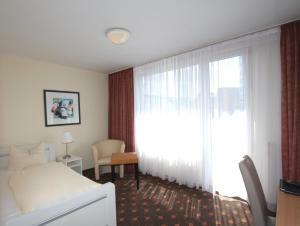 The modern rooms at Hotel Alt Graz are warmly decorated and feature a private bathroom. 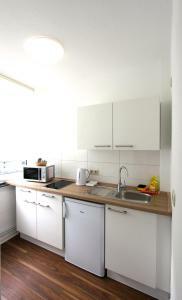 Apartments are also available with a fully equipped kitchen. Meeting and banquet rooms are also available. Breakfast is prepared each morning in the cosy breakfast room. 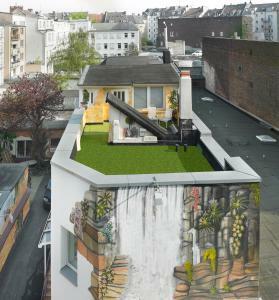 The Königsallee shopping mile and Düsseldorf's Old Town are within easy walking distance. Düsseldorf Main Station nearby offers direct underground connections to the Düsseldorf Exhibition Centre and Düsseldorf Airport. Please note: credit card holder must match guest name, or provide authorization.